Wide Asleep in America: U.S. Intel Chief Says Iran Isn't Building Nukes.Is Anybody Listening? U.S. Intel Chief Says Iran Isn't Building Nukes. In testimony before the Senate Intelligence Committee on Tuesday March 12, 2013, Director of National Intelligence James Clapper reaffirmed what the U.S. intelligence community has been saying for years: Iran has no nuclear weapons program, is not building a nuclear weapon and has not even made a decision to do so. The annual “Worldwide Threat Assessment,” which compiles the collective conclusions of all American intelligence agencies, has long held that Iran maintains defensive capabilities and has a military doctrine of deterrence and retaliation, but is not an aggressive state actor and has no intention of beginning a conflict, let alone triggering a nuclear apocalypse. Were this decision ever to be made, Iran wouldn't even be able to secretly start building a nuclear bomb. “[W]e assess Iran could not divert safeguarded material and produce a weapon-worth of WGU [weapons-grade uranium] before this activity is discovered,” Clapper told Congress. 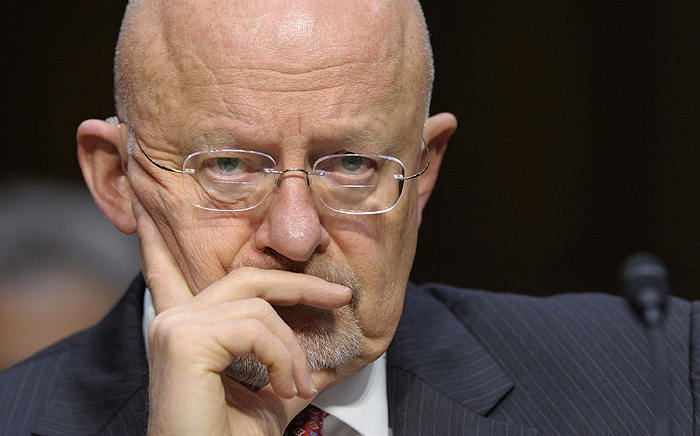 Even Clapper, who is no stranger to alarmism, acknowledges that “Iran prefers to avoid direct confrontation with the United States” and would only act defensively “in response to perceived offenses.” Iran’s “decision making is guided by a cost-benefit approach” based on considerations of “security, prestige and influence, as well as the international political and security environment,” Clapper said, thereby dismissing allegations that the Islamic Republic is an irrational martyr state. Furthermore, speaking at a national security conference in Herzliya on Thursday, Israel’s own military intelligence chief Aviv Kochavi concurred with Clapper’s assessment. While sure to continue advancing its nuclear program in the coming year, he said, Iran has not actually decided to build a bomb. Such findings are wholly consistent with past assessments. In April 2010, Defense Intelligence Agency director Ronald Burgess told the Senate Committee on Armed Services, “Iran’s military strategy is designed to defend against external threats, particularly from the United States and Israel” and “to slow an invasion and force a diplomatic solution to hostilities.” The following year, he explained that “Iran is unlikely to initiate or intentionally provoke a conflict or launch a preemptive attack,” and reiterated this conclusion in early 2012. Such hysteria and fear-mongering, as always, is simply not borne out by the facts. April 18, 2013 - Director of National Intelligence James Clapper and director of the Defense Intelligence Agency Army Lt. Gen. Michael Flynn testified before the Senate Armed Services Committee today and reiterated the same assessment regarding Iran as was delivered in March 2013. The exact same statements - verbatim - were included in Clapper's unclassified report, including the assessment that "Iran is developing nuclear capabilities to enhance its security, prestige, and regional influence and give it the ability to develop nuclear weapons, should a decision be made to do so. We do not know if Iran will eventually decide to build nuclear weapons." Of course, as Clapper notes, Iran's ability to potentially manufacture the components is inherent to its advanced nuclear infrastructure and is not an indication of an active nuclear weapons program, which all U.S. intelligence agencies agree Iran does not have. As such, Clapper told the Senate Committee, "Iran has the scientific, technical, and industrial capacity to eventually produce nuclear weapons. This makes the central issue its political will to do so." In his testimony, Clapper stated that, were the decision to weaponize its nuclear energy program to be made by Ayatollah Khamenei, Iran could theoretically reach a "breakout" point within "months, not years." His report repeats the assessment, though, that "[d]espite this progress, we assess Iran could not divert safeguarded material and produce a weapon-worth of WGU before this activity is discovered." against - forces in the region, including US forces" were an attack on Iran to occur. mr. hack, plenty of people in the us know this. you in other parts of the world dont see that. the watchers of fox news are too loud and act too foolish. however entertaining those "people" may be, stop paying attention to them and calling them americans. they are not americans. its insulting to the rest of us.